At The Law Firm of R. Sam, we understand that most people, unlike the insurance companies, do not have the income to hire an attorney at $250-$500 an hour. This inequality is compounded by several factors inherent in the accident, people in accidents are usually injured so they are unable to work for a period of time, their cars are damaged, so they have to pay a deductible, a rental or even buy another car, and if they have no health insurance, they have to pay for their own medical care. We understand all of this because have represented over a thousand personal injury victims. That is why we work on a contingency fee basis. We do not require a retainer. We do not ask for any money up front. We pay for all case expenses, which may add up to thousands of dollars. We can work hundreds of hours on your case and we still do not ask that you pay anything. We take all the risks. The only time you pay us, is if we win your case. That means we must get some type of settlement offer, award, or jury verdict. If we don’t win your case, you owe us nothing. That is why we GUARANTEE, NOTHING RECOVERED, NOTHING OWED. What if I am partially at fault, can I still pursue compensation for my injuries? Fortunately, under California Law, the answer is yes. California follows the Comparative Fault Legal Doctrine. That means you can still recover for your injuries, but it is reduced by your own percentage of fault. Li v. Yellow Cab Co. (1975) 13 Cal. 3d. 804. I am told that I don’t need an attorney by the insurance company, is that correct? Please understand that the interests of the other party’s insurance company and your interest are not the same. In fact, the interest of your own insurance company is not the same as yours. They are different. Your interest is to get the compensation your deserve. Their interest is NOT to get you the compensation you deserve. In fact, their goals are to act in favor of their company. 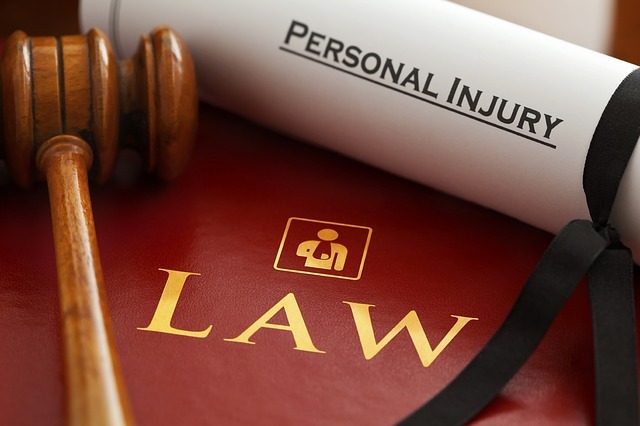 Therefore, it is important to get the help of a personal injury attorney. Why do I need a personal injury attorney for my personal injury case? The area of personal injury law is complex. It is extremely vital that you contact a personal injury lawyer at the beginning of your accident. There may be time sensitive deadlines that you may need a personal injury lawyer to help you with. If you are giving a recorded statement to the other person’s insurance or even your own insurance, there are things that you need to know and a personal injury lawyer can help you with it. One of the worst things that can happen to a client is the denial of coverage by your own insurance company! Or you say something and you are deemed at-fault for the accident! An experienced personal injury lawyer can help you avoid that. Also, you are injured, so you need the right type of medical care, and a personal injury lawyer can help advise you on your best options as well. Will I get more money if I hire a personal injury lawyer? The compensation you deserve depends on many factors, including liability, injuries, pre-existing injuries, type of past medical care, future medical care, past wage loss, future wage loss, future loss of earning capacity, in home care planning, and the list goes on and on. The compensation you deserve depends on all these factors and only a personal injury lawyer will be help you to maximize your recovery. Every personal injury victim is unique because their injuries are unique. Your injuries drive the timing of your case. We do not advise a client to settle their case without knowing the extent of their injuries. Your injuries may take one month to resolve or it can take a year or longer. We just don’t know until you get the medical care you need. Usually, we won’t advise you to settle your case until you have returned to pre-accident health. Then and only then, we will know the actual value of your case. Your injuries might not manifest themselves immediately, some injuries could take months to show up. Even more so, your doctors might not be able to accurately diagnose you until they treat you for some time. We will advise you to resolve your case when your injuries resolve or we know accurately the extent of your injuries. What happens if I am injured by a California or local government entity? If you are ever injured by a California or local government entity, the usual two-year statute of limitations DOES NOT apply. Another statute takes its place REQUIRING you to file a claim within six months of the date of the accident. In addition to that, depending on the outcome of your claim status, you have an additional six months to file a lawsuit to preserve your rights! In cases like this, TIME IS OF THE ESSENCE! These deadlines are crucial. If you don’t follow it strictly, you risk losing your rights to recover for any personal injuries forever. Please act as soon as possible. Are slip/trip and fall cases handled the same way as automobile accidents or other accidents? The simple answer is no. The complexities of premises liability law make it very hard for personal injury victims to get compensation for their injuries. There a several elements of the law that personal injury victims need to prove to win. One of the biggest and most important factors in slip and fall cases is the area of the accident scene. Most of the times, injured victims are too busy with their injuries to remember to take pictures of what caused their injuries. They let weeks or months go by and by the time they get back out there, the area of the accident scene has been repaired or it no longer looks the way it was when the accident occurred. This is so crucial that most injury attorneys, without any evidence of the accident scene as it was when the accident occurred, normally do not take on the case. If you are injured by slipping or tripping, please contact us immediately for a free case evaluation. What’s the difference between the claims process and a lawsuit? When a person is injured, under California Law, they usually have two years to file a lawsuit. Prior to that, if there is insurance coverage, the injured person’s case will undergo a claims process. Some lawyers refer to this as the pre-litigation stage of a case. This is where a claim is opened with the insurance companies, the accident is investigated, evidence is gathered, police reports obtained, statements are taken, witnesses are interviewed, and most importantly, you are still treating for your injuries. Once you are done with your treatment, our team will gather up all your medical records and bills. The assigned personal injury attorney will then package everything together in a demand package and send it off to the insurance company to begin negotiations. If negotiations are successful and the client is satisfied, then the case ends there. However, sometimes negotiations aren’t successful and after talking to a client, a complaint will be filed with the court. The filing of the complaint is where the lawsuit actually begins. As in the claims process, the injury attorney will oversee everything having to deal with the court, from making appearances in court, discovery matters, depositions, and ultimately, trial.